Enforcement of Alabama's law setting stricter requirements on abortions won't go into effect this year. 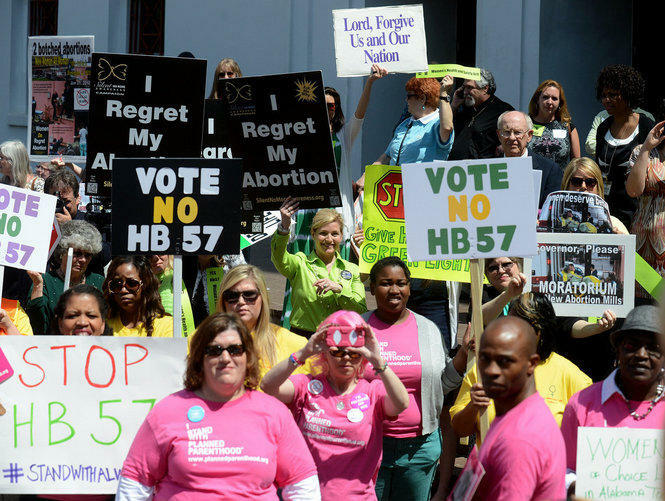 Alabama's new law setting stricter requirements for abortion doctors likely won't be enforced this year. ACLU and Planned Parenthood attorneys challenging the law and state attorneys defending the law told a federal judge Friday that they want the law kept on hold until March 24, 2014, while they develop their cases. U.S. District Judge Myron Thompson indicated he would go along with the timeline proposed by both sides. The new law requires doctors at abortion clinics to have approval to admit patients to nearby hospitals. The law was supposed to take effect July 1, but the plaintiffs sued, saying it would close three of Alabama's five licensed abortion clinics. The suit prompted Thompson to temporarily stop the law from taking effect. His order had been due to expire Aug. 15.